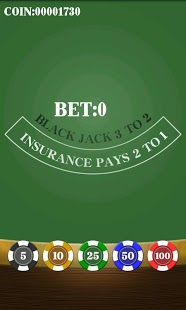 This is \”Black Jack\” which is one of classical casino game. 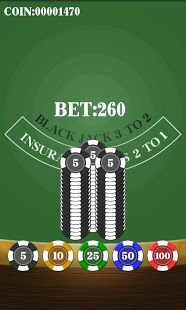 Player have a one-on-one game with dealer. After that, the one which is closest to 21 is winner after drawing cards. \”J\”, \”Q\”, and \”K\” are counted as \”10\”. 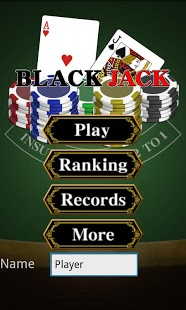 When player has \”A\” and \”10\” or the card which is counted as \”10\”, it\’s \”Black Jack\” , and player gets a prize of 2.5 times. Players compete with number of chips! Also, several records are kept on storage, and player can see the records anytime.